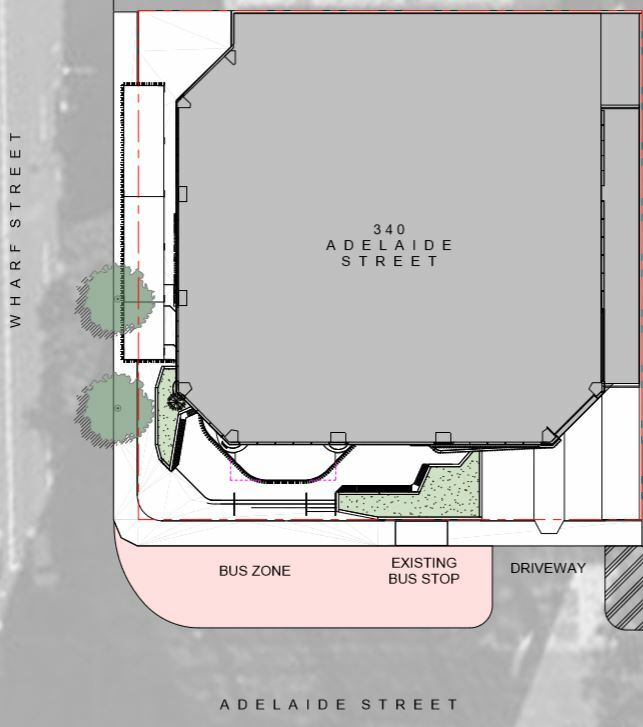 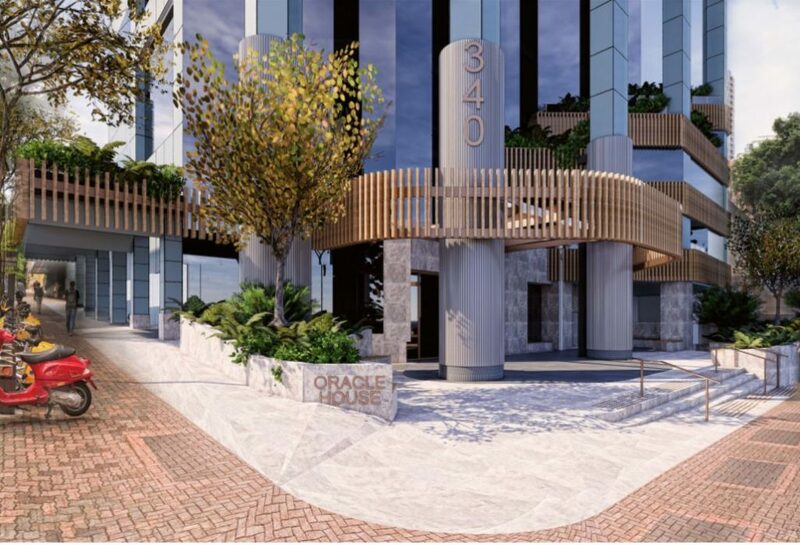 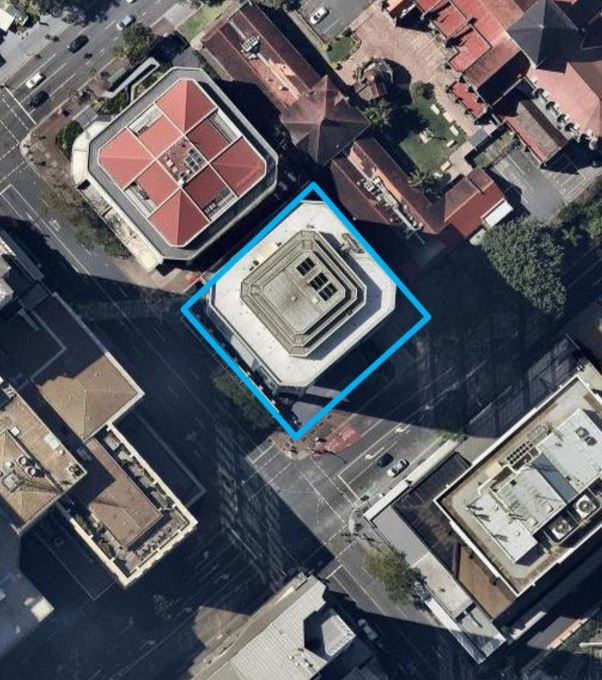 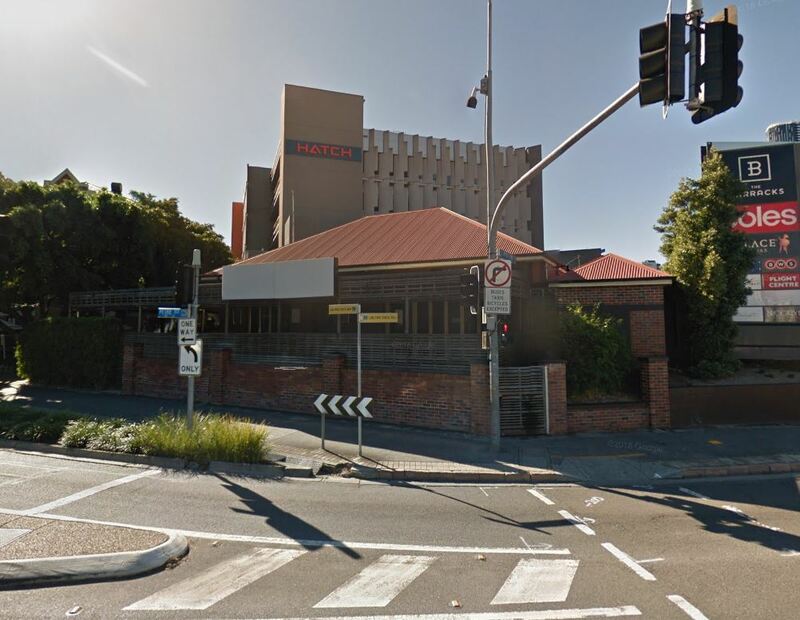 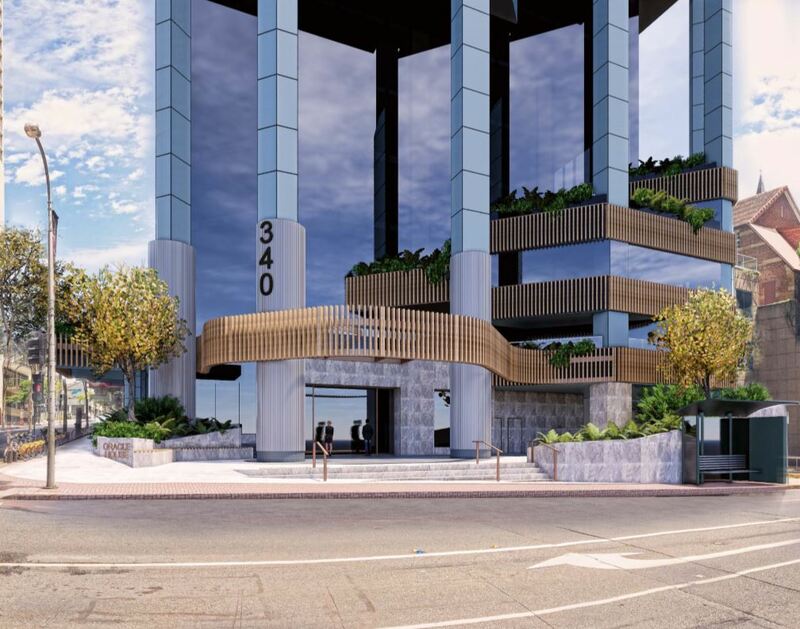 A change to a development approval has been lodged for the existing Oracle building podium, located at 340 Adelaide Street, Brisbane City. 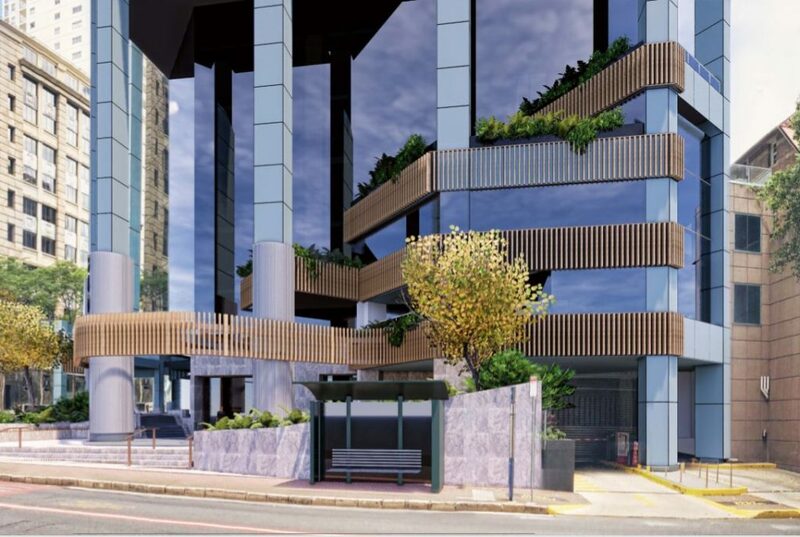 The planners at Urbis state, “The Level 1-4 changes seek to improve the façade through new finishes, cladding and planting. 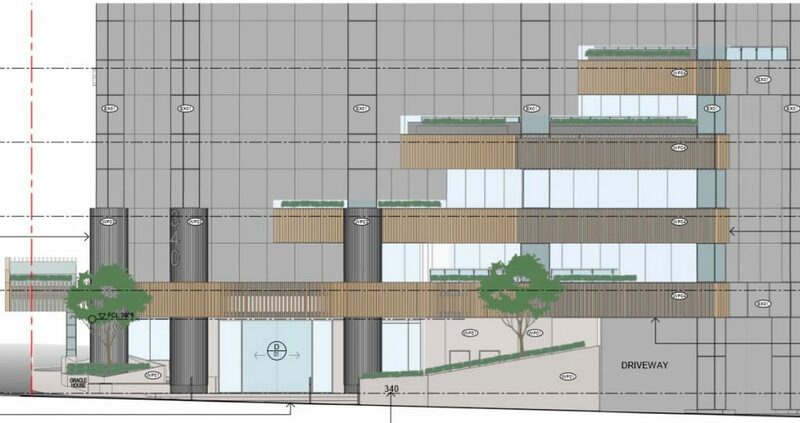 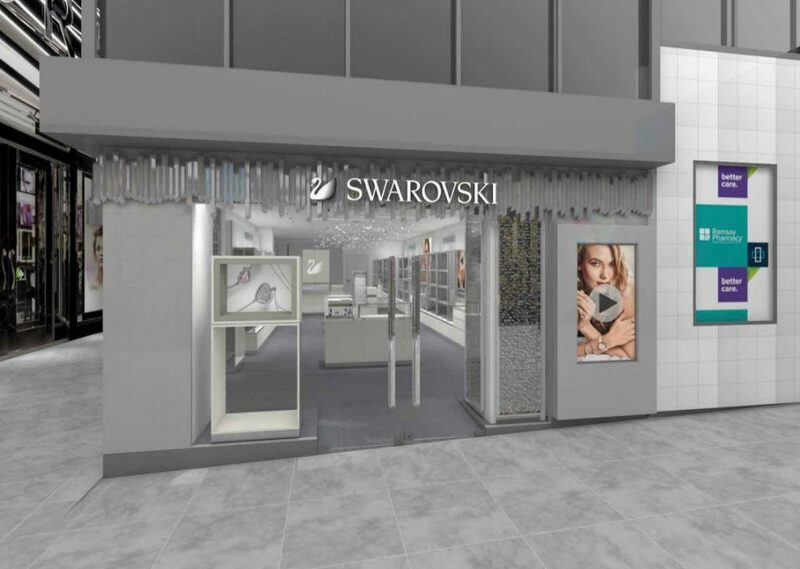 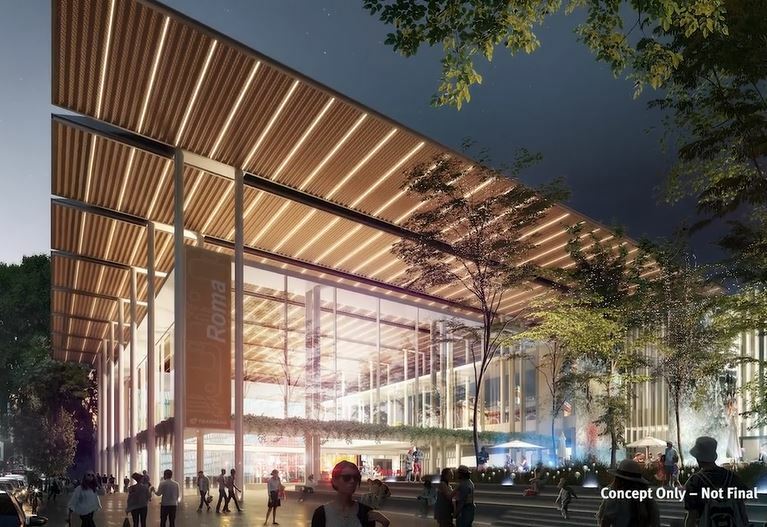 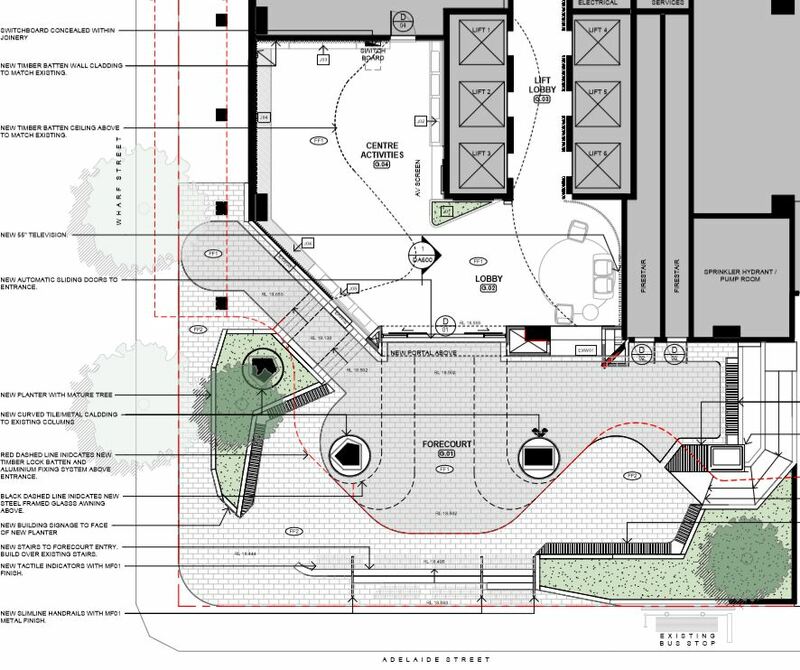 The addition of timber and aluminium to the awnings, curved tile/metal cladding to the columns and a new proprietary planting system to the balcony balustrading will enhance the buildings attractiveness is consistent with Council’s sub-tropical design initiatives”.